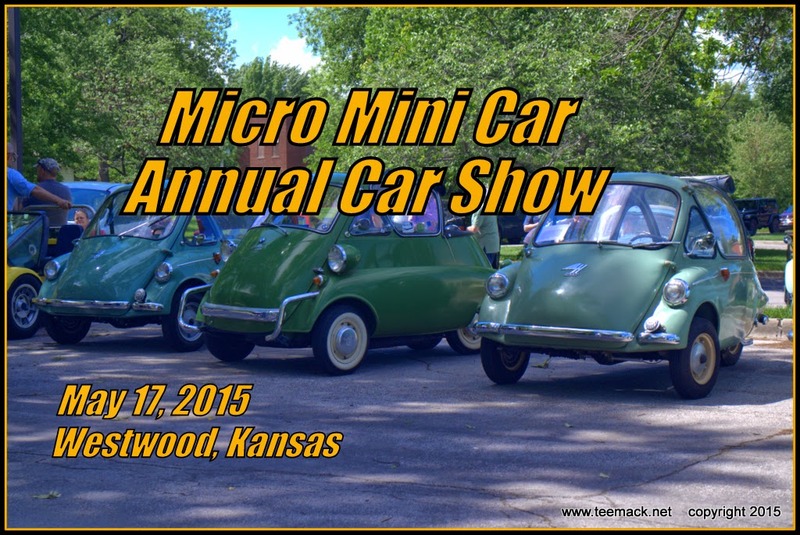 The 2015 Micro Mini Car show was held at the Westwood, Kansas City Hall parking lot on May 17, 2015. 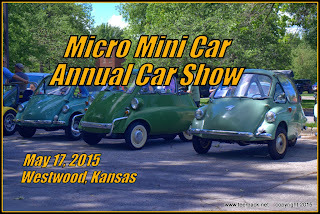 The event is open to all small and tiny vehicles. Most of the vehicles where way of head of there time for size and miles per gallon. The car show draws vehicles that most car people have never heard of or seen. This years event was just as unique as in the past years. Approximately 40 vehicles show up for the event. The weather was a bit cloudy at first but turned into a sunny day with temperatures in the 70's. Click here to view photos of the event.